Tropical living at its best. 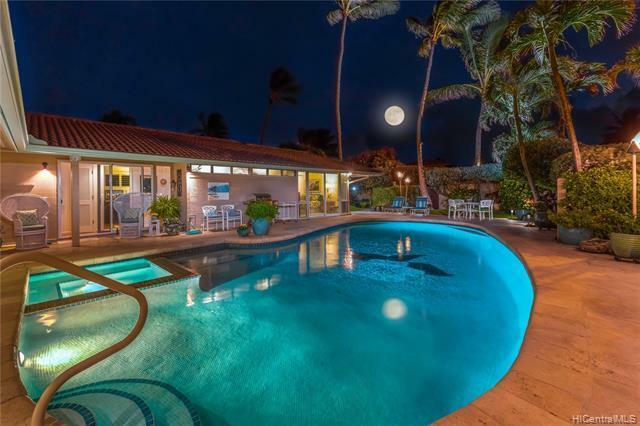 This elegant home is located in one of the most desirable neighborhoods in Kailua. The centerpiece of this home is the seamless indoor/outdoor flow from the open floor plan to the sparkling pool & beautifully landscaped yard. This immaculate home has an amazing gourmet kitchen & unlimited space for entertaining. This fully fenced corner lot is your own secluded Hawaiian Oasis across the street from "Turtle Beach" and ocean access. Award winning schools, shopping & H-3 access are are close by. Click on the video icon for the slideshow, on that screen click on MORE INFO, from that menu click on "360 floorplan walkthru" to walk yourself thru the property.